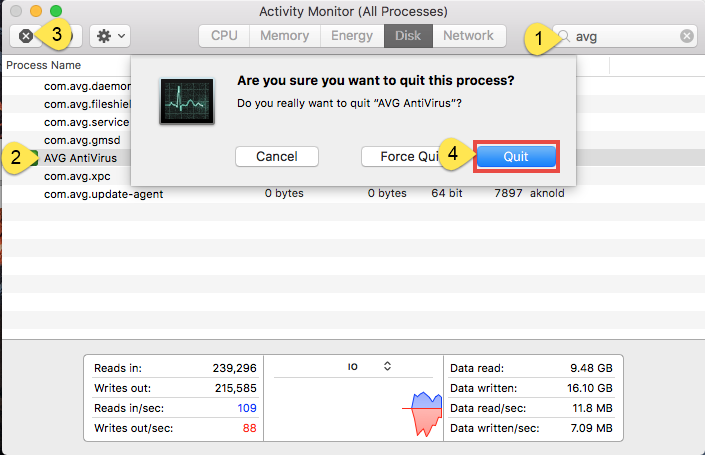 Having trouble when trying to uninstall AVG AntiVirus for Mac? 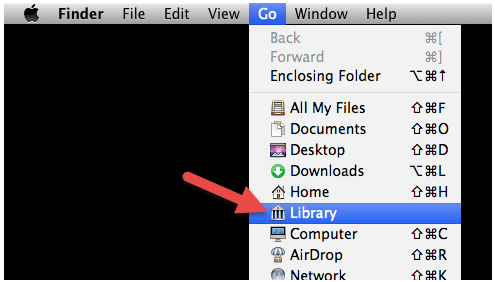 Cannot fully get rid of its components from your Mac? You will find a perfect solution in this tutorial. AVG AntiVirus for Mac is an antimalware security suite that includes an active file and email scanner, plus web browsing protection. 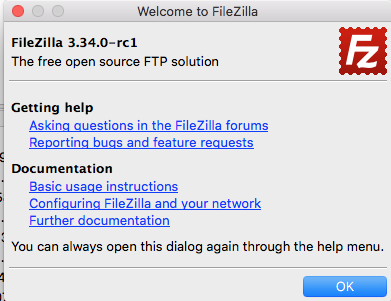 This program seems to get good scores from many independent testing labs, and it is enough to support most basic needs on the Mac. However, it may be incompatible with the older versions of Mac operating system. And when its overall performance dissatisfies some users, they will find it become quite difficult to effectively uninstall AVG Antivirus from macOS. 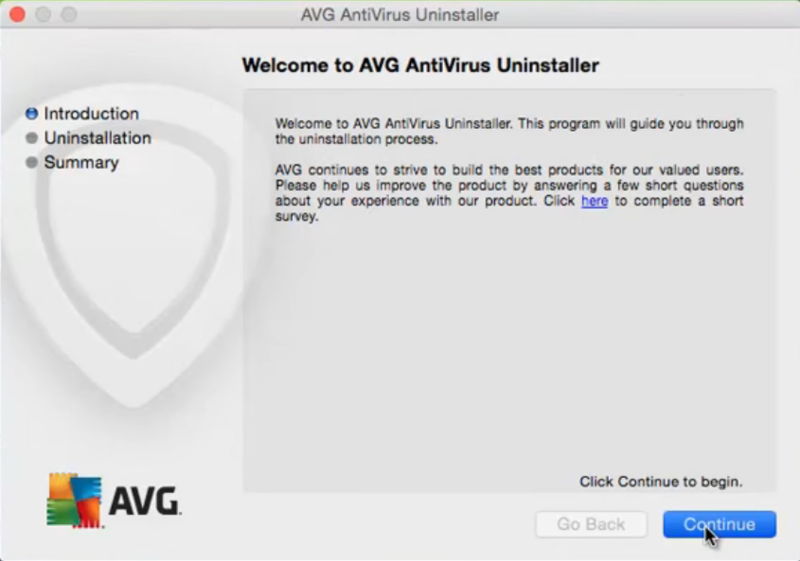 What’s the proper way to remove AVG Antivirus on your Mac? This post will guide you through the clean uninstall of any unwanted application using different methods. 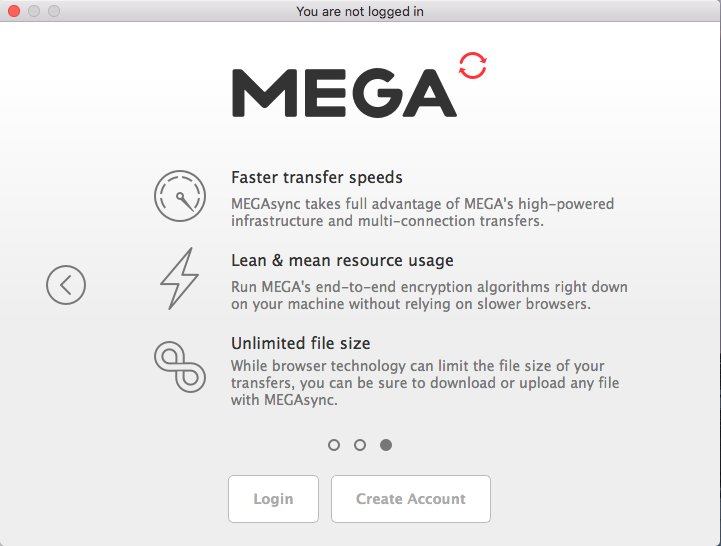 (1) right click on its icon on the Dock, and choose the Quit option; (2) open up the app, and choose Quit from the Apple menu on the left top; (3) launch Activity Monitor, type the app’s name in the search box, select its process(es) in the Disk tab, click the “X” button on the upper left corner, and click Quite/Force Quite button in the pop-up dialog. After that you can carry out the standard uninstall. Two options are available here. Open Launchpad, and input AVG AntiVirusin the search box on the top. Click and hold AVG AntiVirus icon that appears until it starts to wiggle. 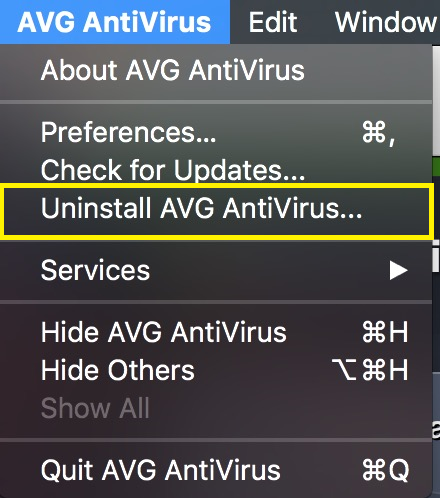 Click the “X” icon that appears on the left upper corner of AVG AntiVirus icon, and click on Delete button in the confirmation dialog to execute the uninstall. Once you click the Delete button, the uninstall will be handled instantly, and there is no need to empty the Trash afterwards. 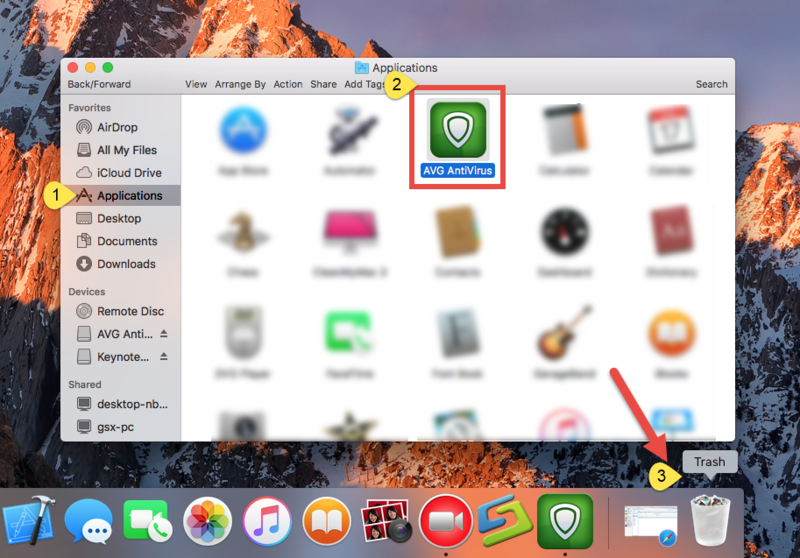 If you install AVG AntiVirus through the App Store and your system is OS X lion or later, you can take this approach. Yet, if you install AVG AntiVirus for Mac via a .pkg/.dmg file, then take the following method. 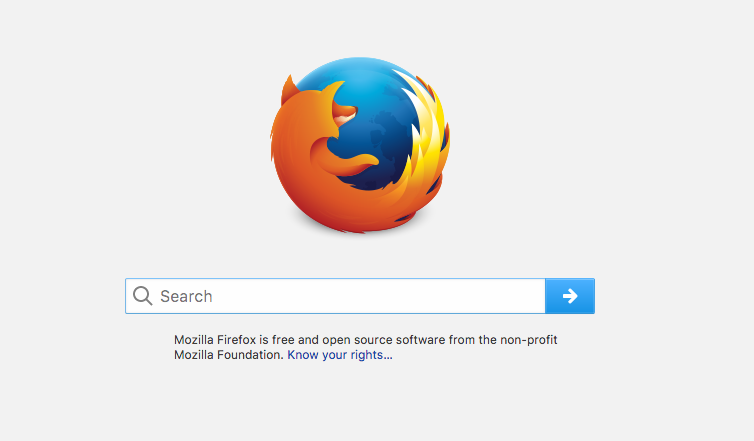 Open the Finder, and click on Applications in the sidebar to open the folder. 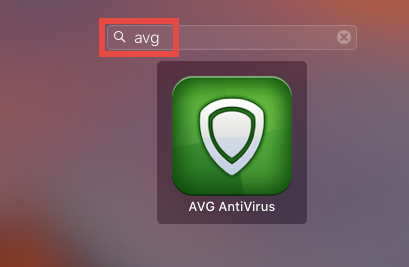 Locate AVG AntiVirus, then select and drag its icon to the Trash in the Dock. Right click the Trash icon and choose Empty Trash to perform the uninstall. Notice: Be cautious when you perform this act. Emptying the Trash will instantly remove AVG AntiVirus alone with other files you’ve thrown into the Trash, and this operation is irrevocable. Any time you change your mind, you can still restore the deleted file or app (right click on it in the Trash and choose Put Back option). There are other ways to uninstall an app: (1) right click on the app and choose Move to Trash option; (2) select the app, and head to File menu > Move to Trash option. 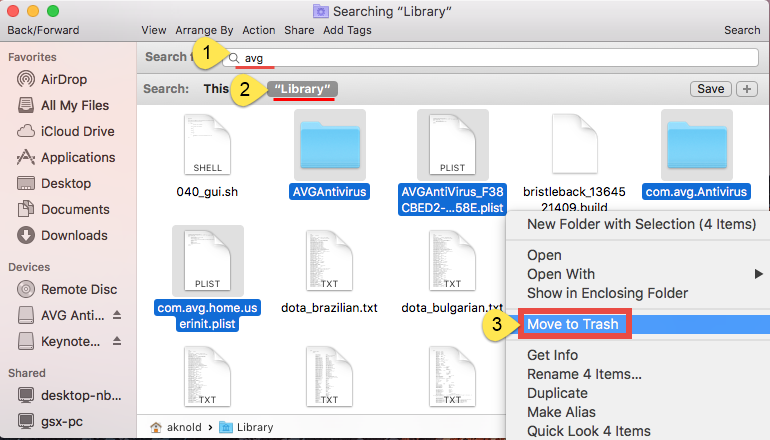 The drag-to-delete method works in all versions of Mac OS X. Most 3rd party apps can be smoothly uninstalled in that way, but it is not applicable to built-in apps on Mac. Fail to move AVG Antivirus to the Trash? 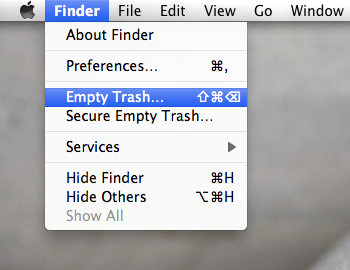 Try this: select it in Applications folder, hold the Option key, and choose Empty Trash from the Finder menu. Launch AVG AntiVirus, and click Uninstall AVG AntiVirus from the Menu Bar. Click Continue to begin the uninstallation process. As the Uninstallation is complete, click Restart to reboot your computer. 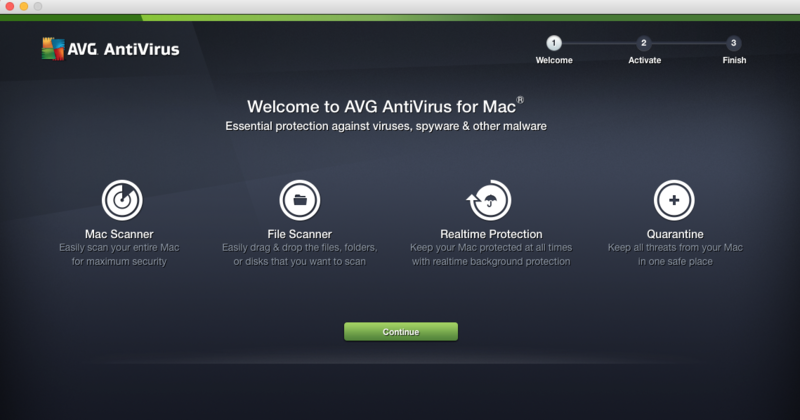 If you still cannot trash AVG AntiVirus for Mac, try to uninstall the app in Safe Mode. Now AVG AntiVirus should have disappeared from the Applications folder as well as Launchpad, and you should continue to delete associated components left behind. It is recommended to delete app vestiges if they are no longer in need or take up large disk space. But how to effectively get rid of those invalid items? If you are a Mac novice, we do not suggest you to carry out the deletion on your own, because any mis-operation might trigger problems on your other apps or even macOS itself. Determined to clear out AVG Antivirus leftovers? Do the followings with caution. 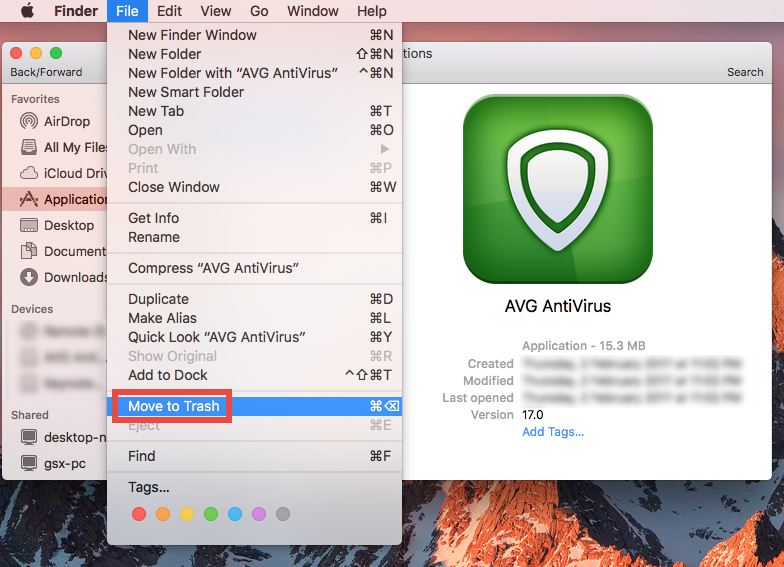 Finally, empty the Trash to delete AVG AntiVirus for Mac leftovers permanently. Are you confident in thoroughly detecting all AVG AntiVirus components hidden in deep system directory? Well, it could be time-wasting and also low-efficient. Chances are that you may miss out some related files. 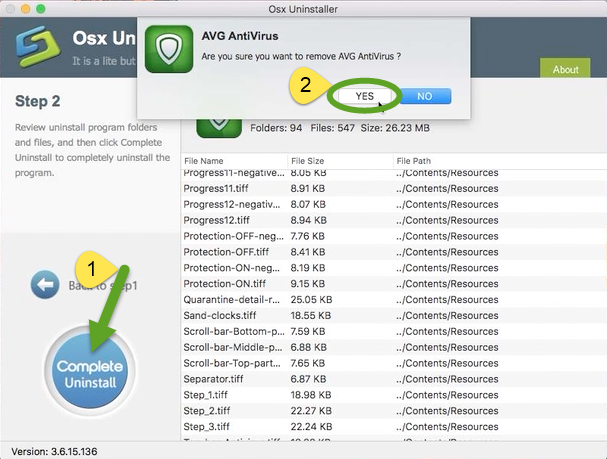 If you are desired to fully get rid of AVG AntiVirus for Mac without hassle, why not consider using a powerful and reputable uninstaller? We will discuss this uninstall shortcut in next section. Read on please. Still run into problems when carrying out the manual uninstall method demonstrated above? To painlessly uninstall AVG Antivirus, you are highly recommended to adopt the undermentioned solution. Watch the clip to know how fast and easy it could be. Step 2. 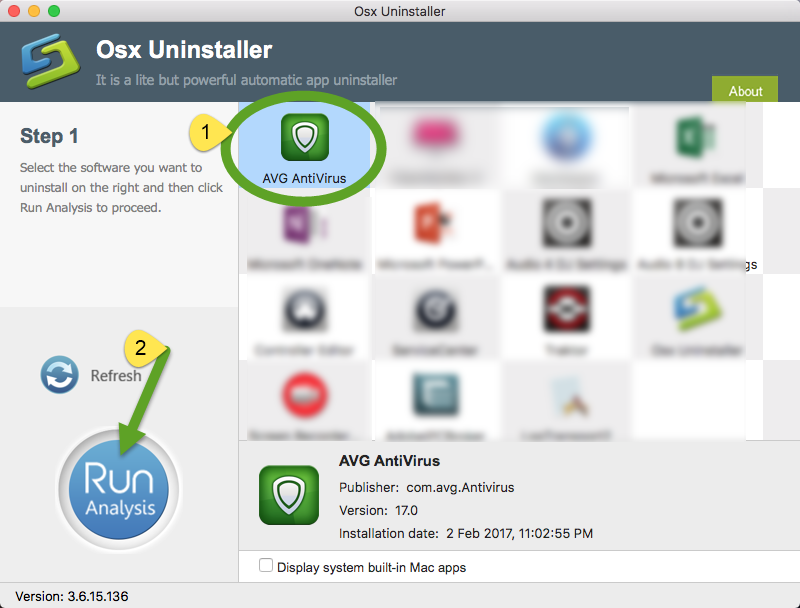 Launch Osx Uninstaller, select AVG AntiVirus and click Run Analysis. Step 3. Review related files and folders, click Complete Uninstall button, and click Yes in the pop-up dialog to fully remove all components of AVG AntiVirus. Now you can click on the Back to Interface button to re-scan your Mac, and AVG AntiVirus for Mac is supposed to disappear from the interface. That’s it. The whole uninstall process completes in the few blinks of time. Incredibly simple, right? 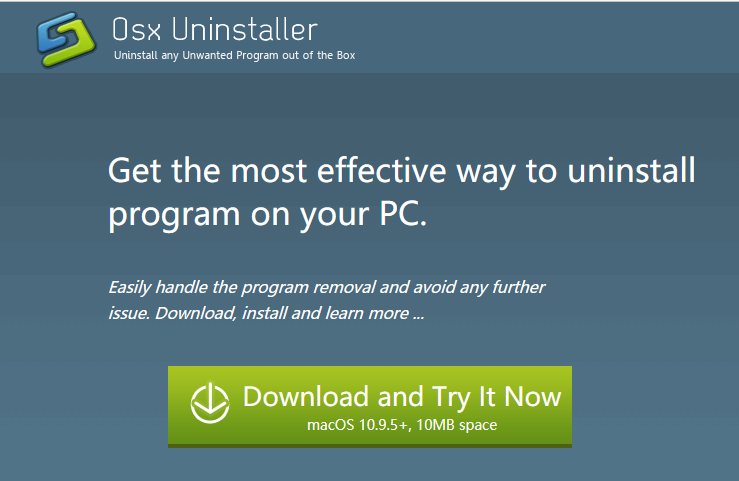 Summary: This remove guide offers two different ways to Perfectly Uninstall AVG AntiVirus for Mac. The first method is totally free yet requires certain time and skill, while the second is rather intuitive, streamlined and suitable for all-level users. 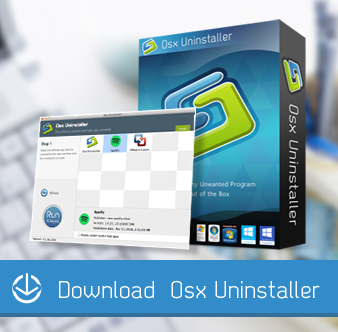 Anyone can make full use of Osx Uninstaller to conduct the uninstall painlessly. 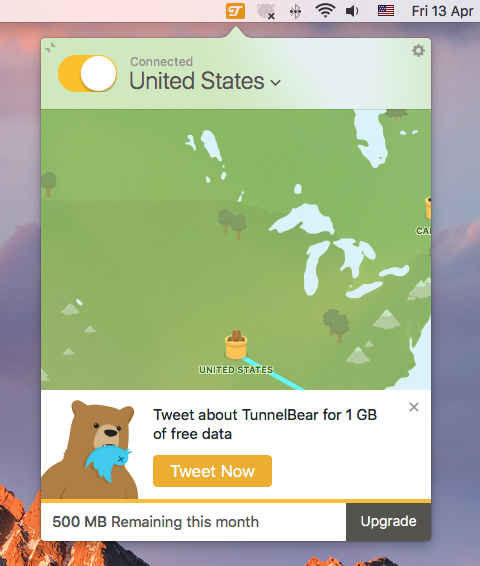 Though priced, it works well to uninstall any unwanted app without trace left.